Testosterone is the king of male hormones. When levels are optimized, you’ll feel energized and confident. You’ll be muscular and athletic. Many men strive to boost their T levels by undertaking a weight training program, eating a diet that is rich in healthy nutrients, and adapting their lifestyle for longevity and wellness. By doing so you’ll decrease your risk of long-term illness and boost your sexual appetite. The number of athletes and recreational exercisers that are opting to use cryotherapy is on the increase. As a method to ramp up recovery and improve clinical health, this method of treatment is said to be the next big thing. But what are its effects on testosterone and is it something you should consider – or avoid? In this article we’ll take a look. Whole body cryotherapy (WBC) is a form of medical treatment where you are subjected to extremely cold air temperatures, usually ranging from -110 to -195 degrees Celsius. It is an umbrella term for a number of different types of treatment where cold temperatures are used, but with WBC you are usually placed in a tank with just your head outside of it. In order to take part in this type of treatment you simply stand in the cold tank for only 2-3 minutes whilst you are blasted with short bursts of nitrogen-cooled air. You wear minimal clothing, but protect your extremities with socks, gloves and underwear to avoid frostbite. It is likened to standing in a butchers freezer only for a very short period of time. It originated as a way of treating inflammation, pain and tissue damage and works by constricting blood flow. It helps to relieve aches, pains and joint soreness by reducing any inflammation and pain in the effected areas. Essentially, the cold temperatures and reduced blood flow help to target swelling or bruising, micro-trauma within soft tissue, and help to repair it and boost restoration. Whilst the science is quite complex, all you need to know here is that the development of ice crystals within the soft tissue extracts excess water and inflammation from cells and results in protein denaturing can cell death. Studies have found that this process can repair ruptured blood vessels, reduce circulating muscle damage enzymes and modify hormonal responses such as increasing norepinephrine levels . Cold technology has been used to treat a number of illnesses including heatstroke, strains and muscle pain for a number of years. WBC has also been shown to benefit rheumatoid arthritis too as well as a small number of other disorder such as fibromyalgia and ankylosing spondylitis . Applying low temperatures to the body has been part of medicine, physiotherapy and generalized medical treatments for many years. 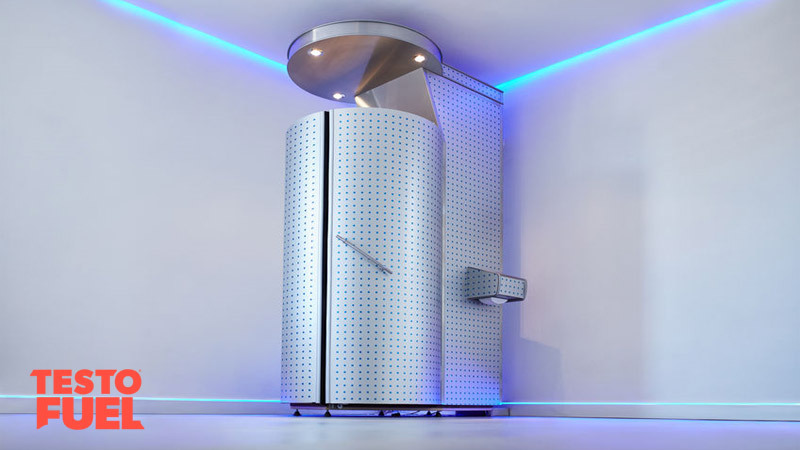 Athletes of course have used ice packs, ice baths and cold showers for decades, but over the last few years have started to use more innovative methods such as cryotherapy. According to one study, extreme cold recovery methods are becoming increasing popular in sports medicine for a number of different health reasons . It has also been used to treat benign or malignant lesions or other abnormal tissues via cryoablation or soft tissue damage within the clinical setting, as well as to treat skin disorders such as warts or skin tags. Recently, the beauty industry has tagged on to this type of treatment as a way of improving skin tone, remove toxins from the body, boosting the immune system and boost raising the metabolism – although there is no clinical evidence that these benefits actually occur. The stiffness and pain associate with exercise is referred to as delayed onset of muscle soreness (DOMS). It is characterized by a heavy, sore feeling in the muscle after strenuous exercise training and lasts from 24-72 hours – longer if the session was extremely intense. Although scientists aren’t completely sure what causes it, the most common theory is that the build up of inflammatory proteins caused by microtrauma compresses nerves, causing pain. A small number of studies have found that cold water treatment helps to alleviate DOMS by targeting blood flow away from the area, allowing inflammation to subside . This is important as it means the athlete can train harder, more frequently but with minimal side effects. Additionally, athletes who participate in cold therapy can perform much better in follow up sessions as they show less thermal strain and temperature-related fatigue. Ultimately, cryotherapy is in the early stages of research. Whilst it appears to provide some benefits to athletes and within the clinical setting, there is currently no evidence that it provides any other benefits – particularly cosmetic. With an ever-increasing number of athletes deciding to take part in this method of recovery, more and more scientific studies are underway. In the next few years, we’ll know a lot more about it than we do now – particularly how it affects hormone levels. As a side effect to blood testing and observation of health indicators, only a small number of trials have measured the effects of extreme cold on testosterone levels in trained athletes. For example, Grasso et al  used the Italian National rugby team to assess the effects of cold therapy on steroid hormones. The team of researchers asked each player to have twice-daily WBC sessions over a 7-day period and saliva samples were taken throughout. After only one day, cortisol levels were much lower than prior to testing, showing how quick it could affect hormone levels. At the end of the intervention T was significantly higher, as was the ratio of cortisol to testosterone. Researchers at Swansea University in the UK also assessed the effects of cold chamber therapy using 14 elite level soccer players . Each player was asked to complete a series of repeated sprints – 15 sets of 30 meters – on two separate occasions. Within 20 minutes of completing the session, each player spent 30 seconds in a -60 degree Celsius chamber, then a further 2 minutes at -135 degrees Celsius. There were no changes to markers of muscle damage such as creatine kinase or cortisol, but testosterone concentrations were 21% higher at 2 hours post-exercise, and 28% higher after 24-hours. Not all studies show an increase in testosterone though. Published in the Polish Journal of Endocrinology , a group of clinically healthy professional soccer players underwent 10 sessions of cryotherapy. When their T levels were measured afterwards, they were lower than beforehand. However, this was also coupled with a decrease in estradiol – a form of estrogen that can inhibit testosterone production. So the evidence is more or less inconclusive at this stage, but promising – remember, in the grand scheme of things this type of treatment is relatively new, and as such is understudied. There’s certainly more work needs to be done before we could confidently say whether or not cryotherapy boosts testosterone or not., but presently it seems like an intriguing area of study. Key Point: Although research is limited at this point, it provided a promising area of research for testosterone boosting. Cryotherapy is a type of sub-zero temperature therapy that has been used in the clinical setting to treat inflammatory diseases as well as muscle pain. It has been found to boost recovery in athletes and successfully alleviate the pain of auto-immune disorders such as rheumatoid arthritis. However, whilst many cosmetic benefits are suggested such as enhanced skin tone and improved metabolism, there is no evidence to back this up. There is currently only a limited amount of research linking cryotherapy to testosterone – and most of these show that it may promote increased levels. It is certainly an area of interest going forward.